Microdermabrasion, sometimes referred to as the ‘lunchtime peel’, is a non-invasive process able to treat difficult skin conditions, or to rejuvenate and maintain the health of your skin. It leaves skin smoother, brighter and firmer, with immediate results and little or no downtime. Perth microdermabrasion uses crystals accelerated onto the skin’s surface to abrade layers of dead and damaged cells. Vacuum suction then whisks away the residual crystals and unwanted abraded skin particles, leaving your skin healthier and younger looking. The treatment is fast and relatively pain-free, leaving little or no redness. 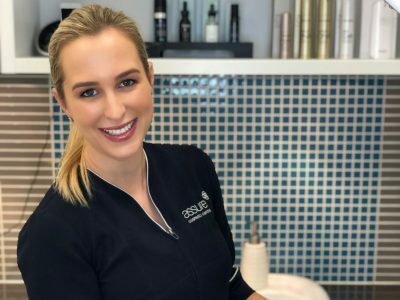 To find out if Perth microdermabrasion can help you, the first step is to book a free consultation with one of our dermal therapists. Is there anything to avoid or precautions I should take with microdermabrasion? Microdermabrasion increases microcirculation, bringing nutrients to the skin and improving the appearance of imperfections. For the first 5 days after treatment, we ask that you do not use a moisturiser containing oil, as this will affect the exfoliation process. Your dermal therapist will recommend skincare suitable for your skin. A quality sunscreen should be applied every morning to protect the skin. With deep microdermabrasion, we recommend temporarily refraining from any other invasive or non-invasive procedures. Waxing is not recommended 2 days prior to treatment and for at least 7 days after. The use of sun beds or sunbaking is strongly advised against and swimming in heavily-chlorinated water should be avoided for 2-5 days after treatment. If you use Vitamin A skin products, you may resume using them 10 days post-treatment. If having treatment with wrinkle relaxants, dermal fillers or facial tattooing, you will need to wait at least 21 days after your microdermabrasion.